This dramatic yellow flower is Fritillaria 'Lutea'. It is planted in the autumn at the same time as your tulips and daffodils. 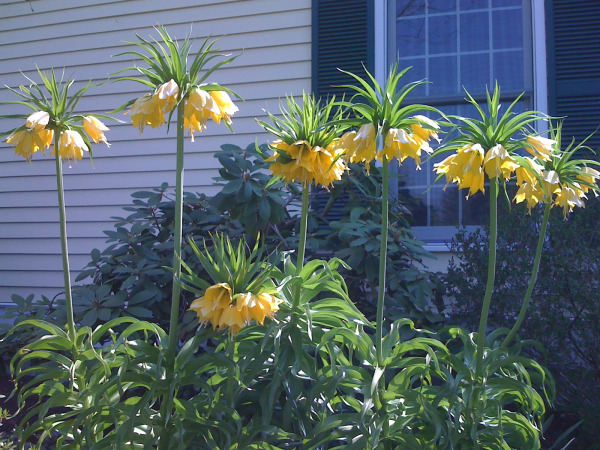 This flower blooms in early May and stands three feet tall on sturdy stems that need no support. There is also a deep orange red called Fritillaria rubra 'Maxima' and a soft orange called Fritillaria 'Aurora'.